With its control of the manufacturing and production chain, Bragard creates collections that are contemporary and stylish. The expertise of the teams is accompanied by clear values: creations and collections are developed in our studios in Epinal by expert teams, the raw materials primarily are sourced from local distribution channels and a large part of the collection uses fabric bearing the France Terre Textile label. It is in the Vosges, an historic textile centre, that Bragard develops its models featuring refined and comfortable lines. 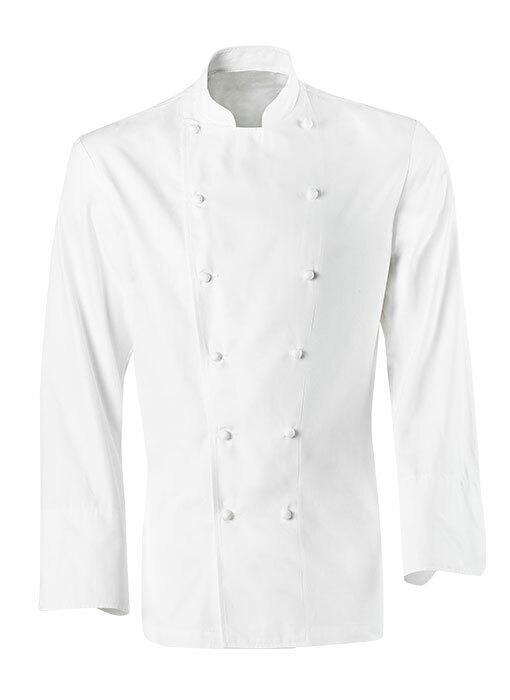 By relying on the skills of a talented team, fully concentrated on the excellence of the line, Bragard liberates professional clothing and makes it an essential component of the art of la cuisine. Drawing on our heritage to imagine tomorrow: the art of transmission is everything. To innovate is to play again a well written piece with permission to improvise new lines. It is to offer our customers contemporary clothing, imagined and created with respect for the tradition and within the well-defined heritage of Vosges expertise. At Bragard, continuity nourishes inspiration. As the charismatic chef, Thierry Marx, has noted: "It is not about choosing between Tradition and Innovation as it is precisely in surpassing this dichotomy that we innovate". The demanding nature of your profession in turn demands that we be equal to your requirements. Attentiveness, adaptability, reactivity, and proximity - our sales force works closely with you to effectively accompany you and exceed your expectations by personalising your projects. 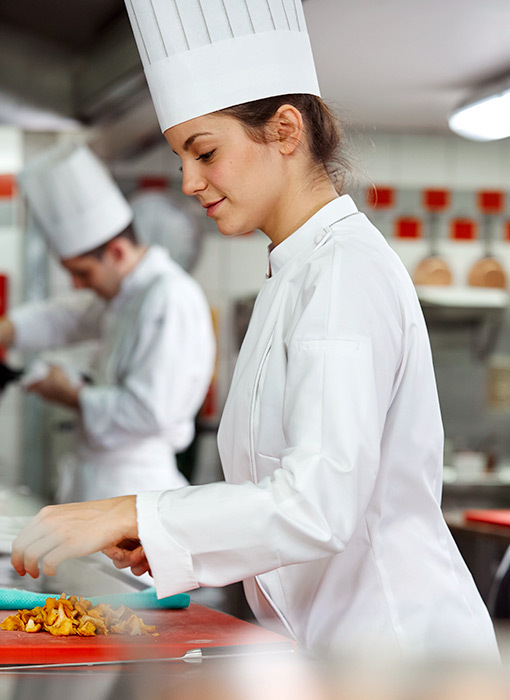 With a customer service department based in Epinal, boutiques in Paris, Lyon and Milan, and a service that responds to professionals as well as hotel management schools, Bragard offers you a customised response equal to your own expertise. 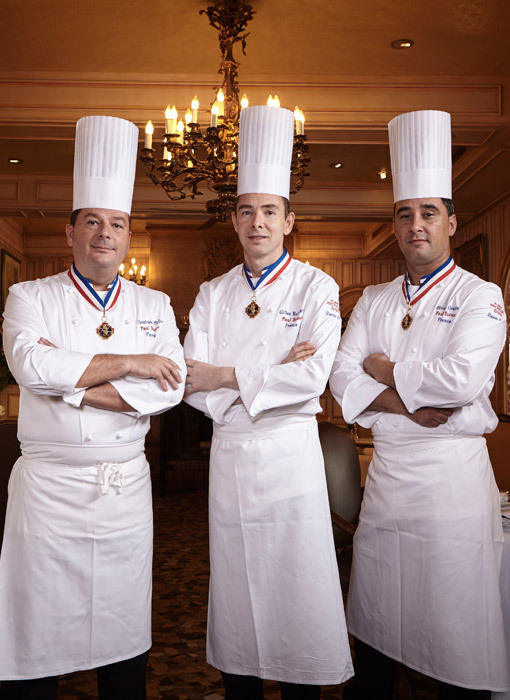 Designed in 1976 with the competition of Mr Paul Bocuse, the GRAND CHEF jacket represents the timeless icon of the classic jacket par excellence. For decades it has maintained its place in the collective imagination as the special jacket of the greatest chefs around the world, perceived as the Bragard expression of French savoir-faire. Manufactured exclusively from the best cotton in the world (Pima Premium) woven in the plaine d’Eloyes (Lorraine) at a partner of the label: Vosges terre textile.